And Manchester United are desperate. Desperate for an upturn in form, a lift in the mood at the club, for something resembling tactical cohesion between the players. They're desperate for this nightmare to end. In a Hail Mary attempt to do so, the club are reportedly preparing a January bid for Andreas Granqvist, who currently plays for Helsingborgs IF. Yeah, me neither. Swedish media are struggling to make sense of the link, given the player's age and limited skillset. But scoring a couple of penalties at a World Cup can do wonders for your career prospects. 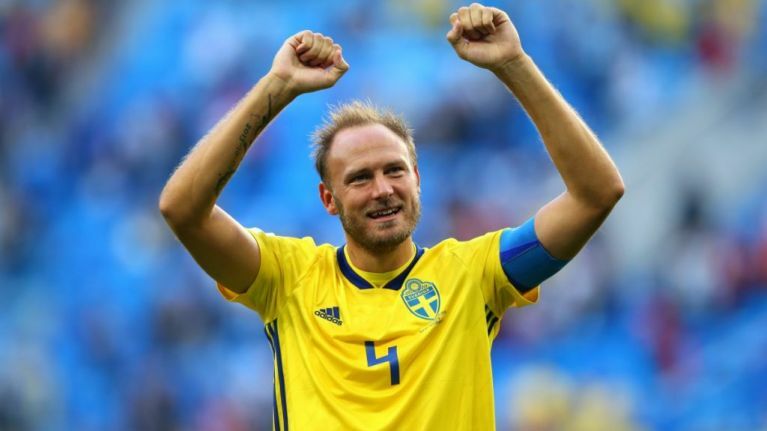 The centre-back scored spot kicks in Sweden's victories over Mexico and South Korea at this year's World Cup, before the Swedes were knocked out in the quarter-finals by England. Granqvist has previously played in the Premier League with Wigan, between 2006 and 2008, but only made 14 league appearances for the club before he was loaned out. Promising signs indeed for Manchester United's defensive prospects. Should he join United, it would be a loan move, similar to Henrik Larsson's stint at Old Trafford back in 2007. While Granqvist and Larsson are both Swedish legends, there is a stark contrast in quality levels, hence the confusion over United's interest. José Mourinho recently spoke damningly about Phil Jones and Eric Bailly, two centre-backs who have fallen out of favour at United, saying that he knew they were in trouble when they stepped up to take penalties in United's EFL Cup defeat to Derby. He has so little trust in his defenders that he deployed Scott McTominay in a back three at the weekend - a clear attempt to send a message to the board that he needs reinforcements in defence. However, is Granqvist the answer? I prefer not to speak.